著 者：Itoh M, Dai H, Horike S, Gonzalez J, Kitami Y, Megro-Horike M, et al. 参考論文：Kuki I, Kawawaki H, Okazaki S, Kimura-Ohba S, Nakano T, Fukushima H, et al. 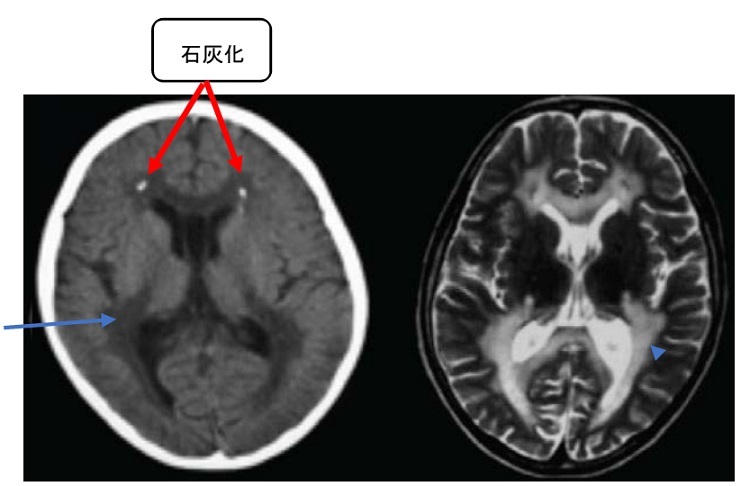 Progressive leukoencephalopathy with intracranial calcification, congenital deafness, and developmental deterioration. Am J Med Genet A 2011; 155: 2832–7.